Was entered in 2019 but was subsequently withdrawn probably because he was only 7 years old. Instead, he went for the Betway Bowl Chase but finished last. Otherwise, a sterling chaser who was 6th in the Gold Cup. Winner at the Cheltenham Festival in 2019 in the National Hunt Chase over 3m7f. It was also his first attempt at a race of 3m+ so to win it was quite an achievement and bodes well for his ability to get around the long Grand National course. As the winner of the Becher Chase, hopes were high in 2019 and Walk In The Mill didn’t disappoint. Running a great race he finished in 4th place. Will he be back for the 2020 Grand National? Despite high hopes, Vintage Clouds fell foul of fence number one in 2019. With almost no running achieved, he headed to Ayr for the Scottish National a week later and finished in 6th place there instead. The winner in 2017 was back in 2019 to regain his crown having spent a year recovering from an injury that saw him miss out in 2018. He certainly gave a good account of himself but had to settle for 6th place. He could very well be back in 2020! Was hampered at the first in 2019 and ultimately unseated Robbie Power about half way around the race. But at only 8 years old, he could definitely make another appearance in the 2020 Grand National. Just made the cut for the 2019 race and there were plenty who fancied his chances. But it wasn’t his race and he weakened 4 out before being pulled up 2 out. If ever there was a horse that was backed so heavily that his odds shifted from 80/1 to 25/1 on the day of the Grand National, it is Livelovelaugh. Clearly, the name caught the public’s attention and they went crazy for him. He got around but was out of the money in 11th place. Was on great form on the run-up to the 2019 race but stamina was always a big question mark. That proved to be through as he was pulled up after being hampered by a faller. Who Decides The Grand National Runners? Every year a maximum of 40 runners line up at the start of the Aintree Grand National and 600 million people worldwide tune in to watch them tackle the 30 notoriously difficult fences in a bid to put themselves into the history books. But how do those particular runners and riders make it to Grand National day? A horse will be entered into the Grand National if it meets the minimum criteria for qualification and the owner and trainer feel that their horse is capable of handling the race. Not all horses are suited to the long Aintree course or have the necessary jumping ability. Even if a horse gets entered that doesn’t guarantee a place at the starting line as frequently over 100 get entered but there is a maximum field of just 40 for the race. The race is open to horses aged seven and upwards that have been placed first, second, third or fourth in a chase of three miles or more and who are allotted a rating of at least 125 by the BHA Handicapper. The entry date for the race is always at the end of January, with the names and numbers announced by the BHA (British Horseracing Authority) the following day. For the Grand National 2019 there were 112 entries. In 2018 there were 105 entries, 110 entries in 2017, 2016 had 126 entries, an increase of 28 on the 98 entered in 2015. The BHA Head Of Handicapping then takes the list of entries and frames the weights. In other words, he decides which runners will carry the heaviest weights and which will carry the least. The handicap system is designed to give every horse a fair chance of winning the race, good horses will carry more weight than those perceived to have less ability. The maximum weight any horse can carry in the Grand National will be 11st 10lbs and the minimum is 10st. Each runner’s weight will be largely determined by their OR (Official Rating) and the higher the rating, the higher the weight. Although the Grand National is the only race in Britain in which the Handicapper can ignoring the official ratings if he wishes, often to the consternation of owners and trainers. Horses are then put in descending order from the highest to the lowest weighted and that also determines their race number. The top-weighted horse is number one, second heaviest weighted horse is number two and so on. The weights are then announced, and from then on a series of ‘Declaration Stages’ or ‘Forfeit Stages’ take place. At each of these stages, potential Grand National Runners can be withdrawn from the proceedings by their trainers and as they are removed and the entries get whittled down so even horses that have not initially made the Top 40 may now do so as entries above them are taken out. In 2019 the top weighted horse was Bristol De Mai but he was then withdrawn leaving Anibale Fly to carry 11-10. The very last declaration stage takes place at 10am on the Thursday immediately before Grand National day. This is the point where the top 40 Grand National runners will be near completion along with four additional reserves. The following day, Friday, by 1pm any non-runners must be declared and be replaced by one of the four reserves. This is also the point where any horses who were previously allocated weights of less than 10st will have their weight increased to meet requirements. Three runners were withdrawn at this stage in 2018 and replaced with reserves. However, on the morning of the National two more were taken out due to the heavy ground. This resulted in 38 declared Grand National runners who lined up. In 2019, no runners were withdrawn at the very final stage and 40 runners ran. There has to be a Top Weight for the Grand National and that runner will always carry 11st 10lbs. For 2019 the honour went to the Tony Martin trained Anibale Fly. Originally it was Bristol De Mai that looked set to carry top weight. However, ten days before the Grand National, racing manager Anthony Bromley made the announcement that he would be withdrawn. The two-time Betfair Chase winner, who finished third in the Gold Cup, would instead run in Betway Bowl. As per the wishes of his owners, Isaac Souede and Simon Munir. With the news that Bristol would not run, Anibale Fly automatically moved up to the top spot. Originally handed 11-06 by the BHA Handicapper, his weight then increased by 4lbs. As did the weight of all other remaining runners in the race. Anibale Fly is a stunning chaser who finished fourth in 2018. And he wasn’t too far off the mark with jockey Barry Geraghty guiding the runner to the finish line just 11L behind the winner, Tiger Roll. Odds on him were already relatively short on the back of that performance. However, a second place finish in the Cheltenham Gold Cup shortened them even further. But top weight is a tough ask for any horse. In fact, the last horse to win on top weight was Red Rum. Many Clouds won in 2015 carrying 11-09 so while it’s not an impossible task, it is difficult. Despite the extra weight, Anibale Fly gave a very good account of himself and finished in 5th place under jockey Mark Walsh who stepped in to replace the injured Barry Geraghty. Up to the Cheltenham Festival, the 2019 race favourite had been hotly contested between Tiger Roll, Rathvinden and Anibale Fly. But after his epic win in the Glenfarclas Chase, Tiger Roll went off on April 6th as the favourite. In fact, straight after that win, his odds dropped to as little as 11/2, three weeks ahead of the 2019 Grand National. The odds then dropped even further to 7/2 when it was confirmed that he would definitely be declared for the race. We all know how difficult it is to win back-to-back Grand Nationals but Tiger Roll bucked the trend and genuinely looked like a horse that could achieve the almost impossible. He hadn’t succumbed to the usual issues. He hadn’t been retired, had run plenty of times since his first win and he wasn’t injured. In fact, he looked unstoppable. And he was. Tiger Roll, under jockey Davy Russell wrote himself into the history books with a second successive win in the Grand National. Hw was the favourite for a reason but will he back for the 2020 Grand National to make it three in a row? Time will tell. 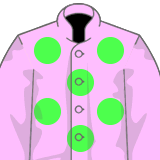 The criteria for professional or amateur jockeys wanting to take part in the race are very specific. They must have ridden not less than 15 winners in chases or hurdle races under the Rules of Racing and/or the Rules of the Irish National Hunt Committee and ridden not less than 10 of these winners in chases. A champion jockey like A.P. McCoy who primarily rode horses for super owner J.P. McManus had his pick of horses in the race before he retired. Top jockey Barry Geraghty is now the retained rider for McManus. The likes of Davy Russell and Ruby Walsh are other top jockeys who can often choose their rides and odds will tumble on any horses chosen by the pair. Amateur jockeys are now a rarity in the Grand National compared with races early days. Sam Waley-Cohen is probably the most famous amateur rider in recent years and he enjoys a record over the Aintree fences which is the envy of many a professional. Other jockeys will usually ride for the yards that retain them or a trainer will engage their services just for this race. In recent years a number of high profile jockeys have missed the race due to injuries picked up at the Cheltenham festival which is the last major National Hunt meeting before Aintree. In 2018, Ruby Walsh suffered a leg fracture and Leighton Aspell suffered a neck injury that put them out of contention for the Grand National. Don’t be put off backing a less well-known jockey or even one who has never ridden the course before. In 2013 jockey Ryan Mania won the race at his first attempt. And David Mullins did the same thing on Rule The World in 2016! Last year we saw a number of jockeys making their debut. They included James Bowen, Bryony Frost, Sam Coltherd and Rachael Blackmore. Bryony Frost was the best finisher, getting Milansbar to fifth place. In the Grand National 2019, Lizzie Kelly made her debut on Tea For Two. The odds quoted on any horse in the Grand National represent your potential returns if that horse should win. If a horse is quoted as 10/1 then the 10 figure is the amount you’ll get back from the bookie for a 1 unit stake. In other words, bet £1 and you’ll win £10 back. You’ll also get back the original £1 stake, making a total return of £11. The simple answer is the bookmakers. Initially, bookies will offer odds on all the horses running in the National and the bookmaker is aiming to show a profit on the race regardless of the outcome. In many ways the bookmaker doesn’t care who wins, because if he can get the maths right, he will always come out on top. Although this doesn’t always happen over one race. In a perfect world the spread of bets on the race would guarantee the bookie a nice profit whoever wins. However, if punters keep placing bets on one horse, let us call this horse ‘Plucky Pete’, at a level disproportionate to other runners then the bookie has built up a potential liability. If ‘Plucky Pete’ wins the race the bookie will lose a fortune and they really don’t like losing! To stop this happening the bookmaker has a couple of options. They can offer bigger odds on other runners and simultaneously shorten the odds on ‘Plucky Pete’ in the hope of attracting bets away from the horse with the big liability and onto other runners. This is why you see the odds fluctuating right up until the off. So the bookmaker sets the odds initially but the volume of money place on any runner will move the odds right up until the race starts. The ‘Each Way’ bet works like this… Instead of betting on a horse to come 1st you can make a bet that your horse can finish 1st, 2nd, 3rd and 4th (some bookmakers payout 5th & 6th places) The each way bet is really two bets in one, a £5 each way bet will cost you £10. You’re betting £5 that a horse wins and £5 that he will finish in one of the places. Sounds like a good deal? And for the Grand National, it can make sense to back a horse each way over a straight win bet, but remember bookies aren’t registered charities. So to compensate for your increased chances of winning they reduce the quoted odds on the place part of the bet. If a horse comes home 1st you’ll still get the full quoted odds. However, should he only place, you’ll only get a quarter of the quoted odds (some bookmaker pay less than a quarter odds).